Simon says "Focus on that what you love and in what you can do the best" and in his case it is the Music.Original from (Bottrop Germany) but living on Ibiza.He started in the late 90´s with spinning the decks´s and was more focused on turntableism and hip hop.Simon became a well-known figure on the german turntablism scene and was soon playing in clubs all over Germany.To expand this horizons he moved to ibiza aninto production,He discovered that his true passion is Techno,Electronic,Experimental it doesn’t give enough detail about his style what he is creating. Unique,alive and forward going saw basselines but also pretty much focused on melody painting his picture of sound his sound has aconsistently high degree of recognition.We just can call it Raaaaaw !! 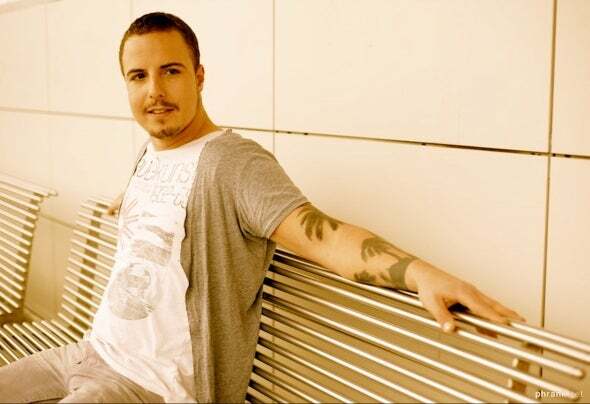 From the day on he moved to Ibiza he has been sharing his unique magical sound and musical energy with the whole Island and also started to play in different clubs in Europe. Beside DJ´ing and producing he created his own Label "Dysfunction Recordings"s and his name became a place in the international Electronic scene.Since then he has been playing with the Premier League. Keep it Raw ! !